Hi, Scott Docherty here. 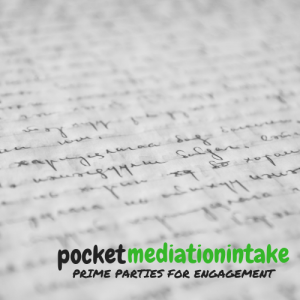 Welcome to our online Mediation In Your Pocket project! If you're in conflict, or if you intervene in conflict, our innovative online tools will help you sort things out on your own terms. We believe deeply in your ability to do this yourself, without giving up control of your conflict to others. 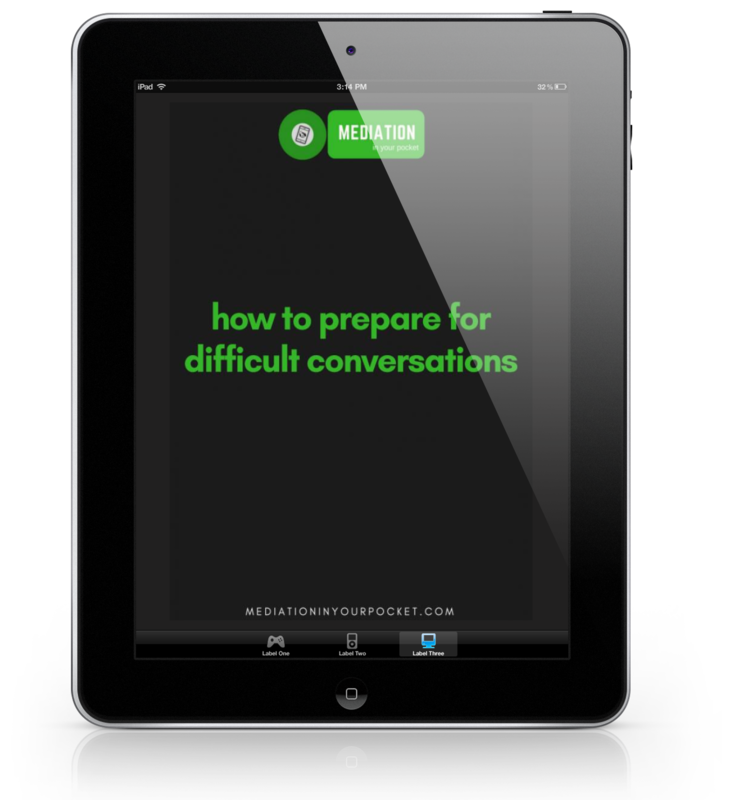 "How To Prepare For Difficult Conversations"
You can download it for free today! We've really just begun to scratch the surface in these early days of our little online Mediation In Your Pocket project. and in time, we'll be laying out access to an innovative conflict resolution engine, a secure online mediation portal in which anyone in conflict can enter and engage with each other constructively, with easy, affordable access to online mediators to help you sort things out if you need them. do you really understand your conflict? We feel that in any conflict, any conflict, empathy and an arm around the shoulder is way more likely to help than shoving you deeper into battle. Time and again, courts and war zones, all our traditional ways of dealing with conflict, they just end up separating us more than ever. But we've evolved to understand this. Well, you'd think so, right? What we know today is that the external signs you see in conflict, like anger and steadfast positions, only surge to the surface to mask what's really going on underneath. 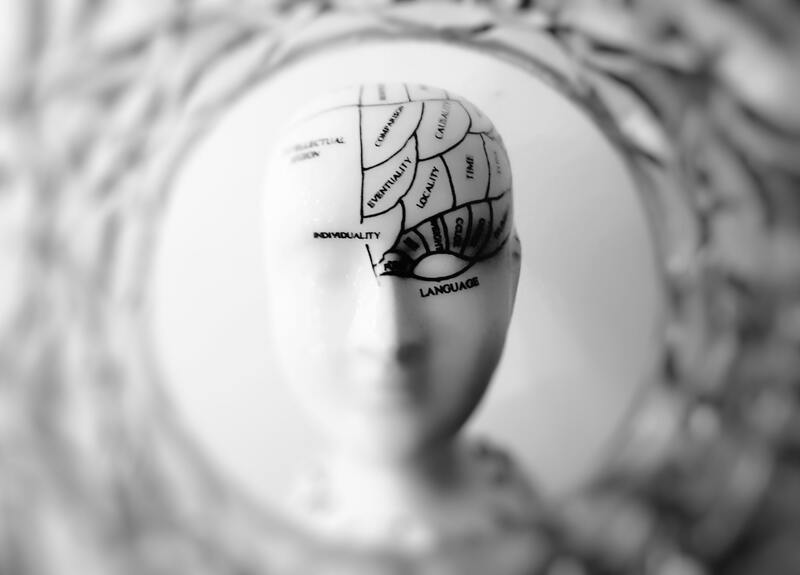 And what we know is that unless you learn to control your brain's innate mechanisms of survival, in every difficult conversation you face in the future you'll be on the back foot. And so, despite what we know now about how to approach conflict constructively, right now we're stuck with the systems we've got. So to bring about a genuine revolution in how you and your world handles things in the heat of the moment, you'll need to prepare well and you'll need to begin now! So our work here has just begun. We've been doing this work for you, for your effectiveness in every difficult conversation you face in life. It's not just about online mediation, therefore, as we know that no matter if you ever mediate your conflicts, mastering 'mediating ways' in how you handle those conflicts will help transform your life. So we're packaging up those mediating ways into pocket-sized tools. 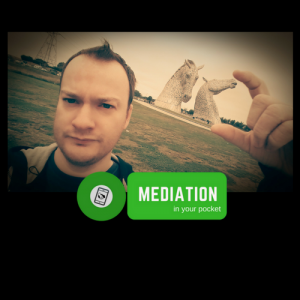 Mediation in your pocket, right? Our Founder, Scott Docherty, is a mediator, author, and Vice-Chair of Scottish Mediation. You can learn more about his work in our contact & info section, where you can also get an idea what we'll look like as time goes on. Right now though, if you're a mediator, you can register for a space on our popular course, How To Mediate Online, and you can now explore the first two life-changing conflict tools we've launched below. 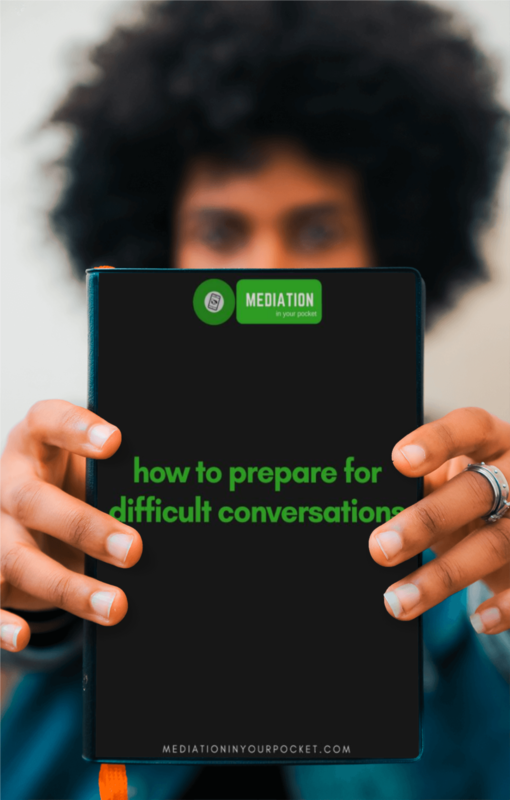 Other than our popular guide to difficult conversations above, for those who're not mediators and instead are those simply experiencing conflict every day, there's way more to come! pocketconflictcoach is your fully automated online course that will help you get ready for effective engagement in conflict. how can online mediation help? So when we talk about online mediation, really we're describing how you can use mediating ways to sort things out online. You don't have to keep arguing. You don't have to go to court, to give up control of your rights or your destiny to someone else like a lawyer, judge or general. Using our tools, you keep control. We put that arm around your shoulder and help you pick up what's making you feel the way you do about every conflict you face in life. We help you connect with it more clearly. And we set you on your way to connect more effectively with those you're arguing with. It'll help you because if you're empowered to chart your own course through conflict, you'll boss it every time. Your opportunities and options in life will improve. 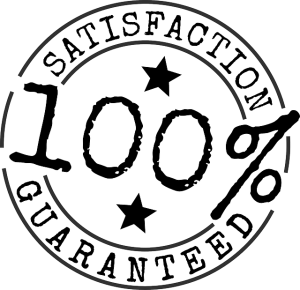 All our online mediation tools come with a bang solid guarantee. If you're not totally satisfied with them in the first 30 days, just let us know and we'll issue a full refund, no questions asked! 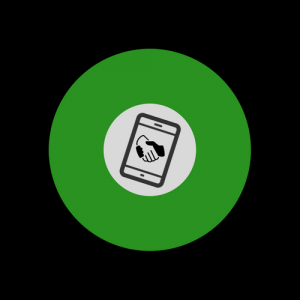 We want you to trust in the opportunity given to you in our conflict engagement tools, so keep in touch and we'll help you as best we can! So dive right in. 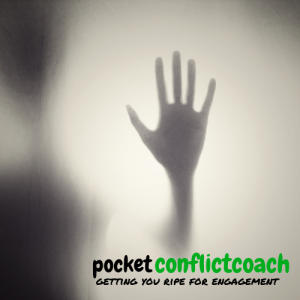 Try pocketconflictcoach today and master conflict at your own pace, wherever you are. Watch how calm and focused it helps you become. The world of conflict resolution just got a little less messy! Let us do this for you today. Begin a journey with us and change your life! Before you go, our little ebook, How To Prepare For Difficult Conversations, gives you an introduction to the tips & techniques from the course used by thousands of people to transform their approach to conflict. Try it today for free!